With fashion and style comes uniqueness. There is expression, ornamentation, and freedom. 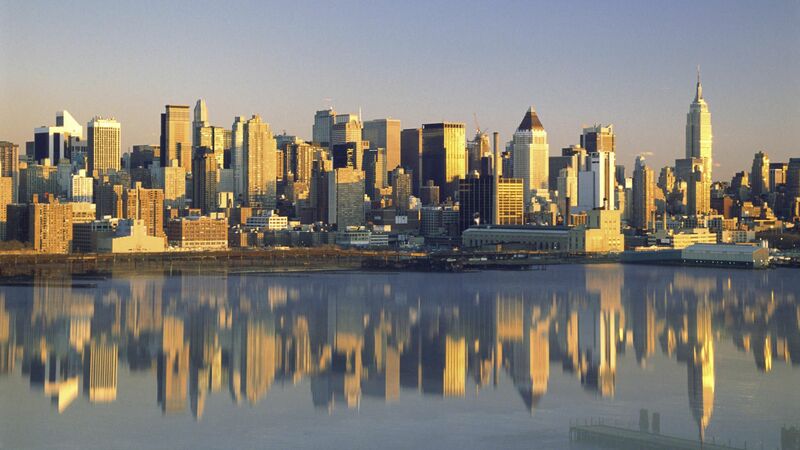 Throughout the world, fashion dominates in its design, texture, and mass appeal. Although I typically write about fashion styles, trends, and looks, for today, I decided to simply show fashion through photographs. 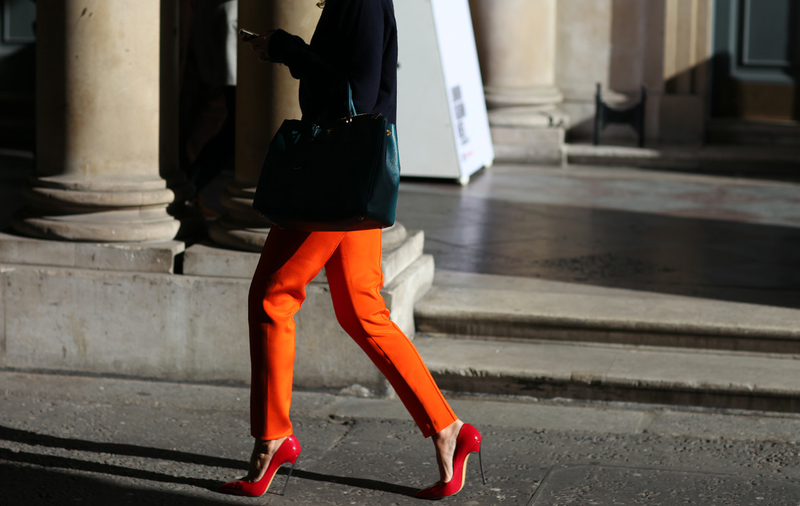 Photography is a medium that captures fashion in a way that is distinguished and extraordinary. In photographs, fashion is illustrated as if it is a work of art. A scene is set. A model is chosen. A style of dress is decided. Photography gives the viewer a deeper sense of understanding. It gives off powerful emotions; it conveys meaning and feeling. It is raw, honest, and artistic. 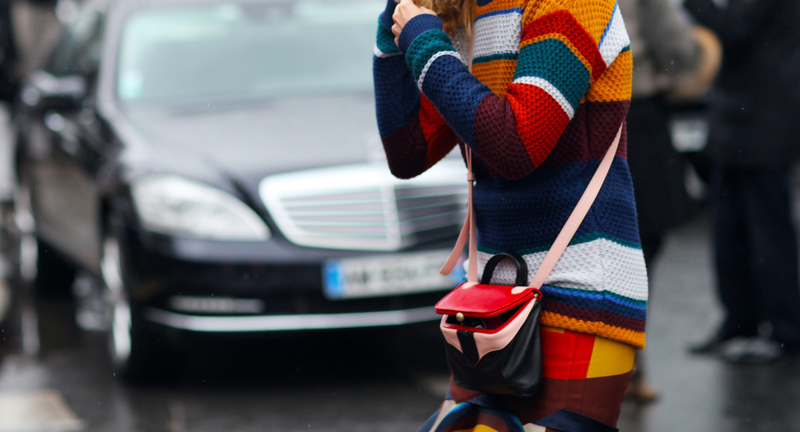 Street styles are captivating. The photographs that show them however, are even more exclusive and unique. 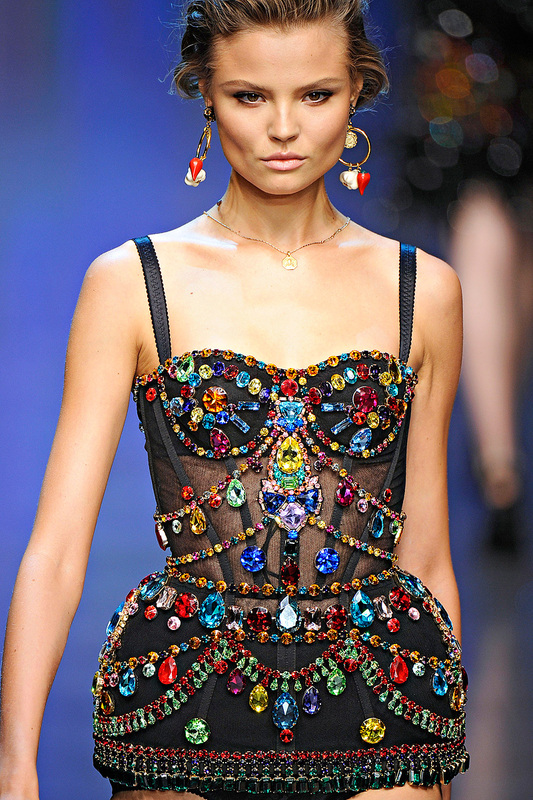 Bold, sparkling, and fun, Dolce Gabbana’s famous bodysuits are unforgettable. Closing the Spring 2012 RTW show with a bang, these jeweled corsets exuded a playful, optimistic energy, with an undeniable daring quality. This garment, which has a long history with the brand, has appeared on the runway, in magazines, and on celebrities. 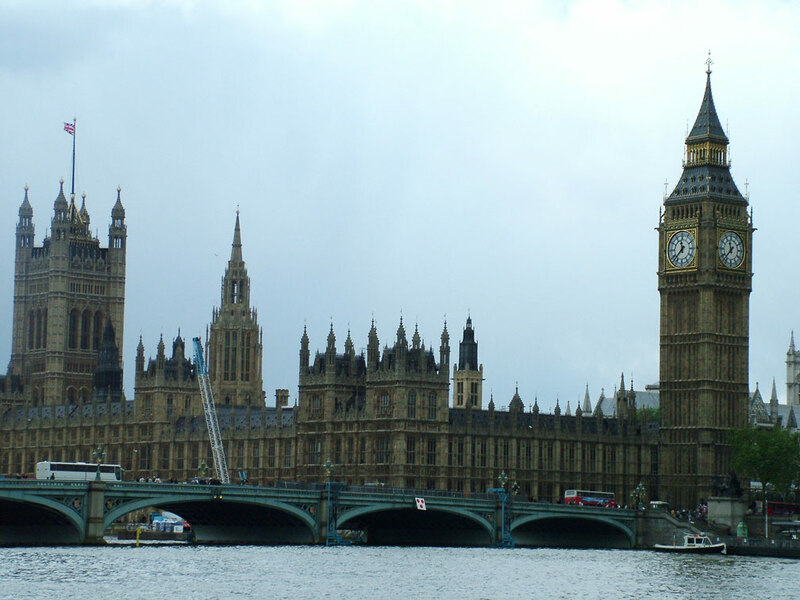 It makes a significant presence. It lacks simplicity and relishes in its unique flavor! This bustier-like bodice is truly beautiful in its colorful embellishments and its eye-catching appeal. Colors of pink, red, green, yellow, gold, black, blue, and purple. Shapes of circles, rectangles, ovals, and triangles. The diversity and creativeness is evident! With a showgirl like appeal, these artistic pieces look as if they were made for the theatre. With their sparkling, alluring quality, it is as if an actress was singing and dancing on a warm, bright stage. If one of these inventive, inviting corsets had to be my favorite, it would definitely be the one above. Adorning its fabric are rich jewels with a thrilling symmetrical pattern. Extravagantly decorated, the color, the richness, and the flavor of this lingerie piece is impeccable. There is even an addition of a peplum-like circular shape to the waist. There is an inescapable quality of beauty and wonder in this piece. The detailing is exquisite. The artistic attributes are readily apparent. With a sheer midsection revealed, this loud corset is both thrilling and exciting! Elaborately embellished, colorfully chic, and individually incredible, these confident Dolce and Gabbana lush corsets are electric, special, and most importantly, memorable! Who doesn’t love the Met ball? Scaly, metallic shine–this dress was incredible! Carey Mulligan looked absolutely beautiful in this fish gill-like sequined Prada dress! This dress is both fierce and stunning. Shining gold and transforming into a silvery blue, this high neck Prada number was truly amazing! With a pinched in waist and rounding out at the knee, Mulligan looked incredible! Pairing it off with simple satin tan heels, this aquatic, sci-fi look was one of the best of the Gala! Beyoncé, do you ever not look beautiful? Beyoncé looked exceptional last night on the red carpet! This sheer Givenchy Haute Couture gown by Riccardo Tisci was magnificent! With sparkling flowered black embroidery and a feathery black and purple train, this dress was astounding! This tasteful gown showed off Beyoncé’s post-baby body in a way that is unforgettable! Dramatic, bold, transparent, and artistic–this gown was definitely a winner! Cabernet colored lips and a slinky Deco inspired Ralph Lauren dress–Camilla Belle looked phenomenal! This ivory tulle beaded dress was really stunning! Belle truly shined on the Met Gala’s red carpet this year! She looked classic and chic! Dark hair pinned up, face refined, and vintage Ralph Lauren jewels, Belle’s look was sultry and appealing! The looks of this year’s Met ball were simply incredible! Fashion came out in full force as unique and marvelous gowns graced the red carpet! The Met Ball is an amazing event and I am sure the new exhibit is terrific! 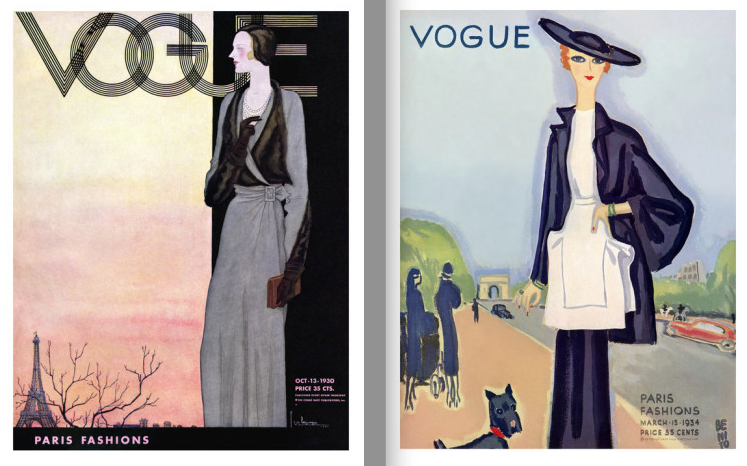 Fashion magazines have had an influence in the world since the early 1900’s. Their effective imagery and ingenious works of creation captivate fashion in a way that is almost magical. These fashion magazines delve deep into the art of fashion and exhibit boldness, determination, and brilliance. With every page turned, a new understanding is gained. With every image, color, and design, comes an inspiration–an inspiration to take a risk and to be yourself. One aspect of fashion magazines that I love most are the covers. These covers give the viewer a chance to see something beautiful. These covers give the viewer a chance to see fashion. Traveling back to the past, whether it was a flapper dress in the 1920s or a pencil skirt in the 1950s, these covers broke and still do break social barriers of constraint and insecurity. They are colorful, loud, and telling. They exhibit grace, beauty, and an appeal that is unforgettable. However, although there are many fashion magazines of the past and present that have made these ideals become reality, there is one dateless magazine that makes its presence known above all the others. This magazine is Vogue. Jazz, rights, and speakeasies–these were the 1920s. 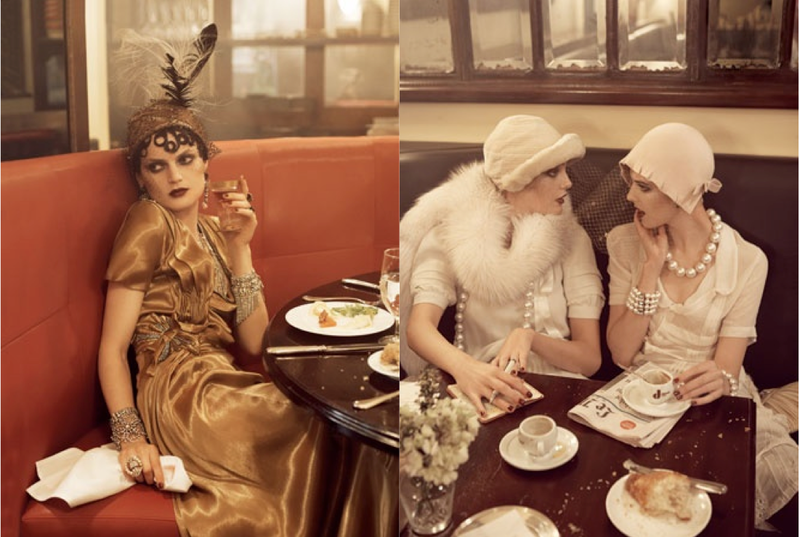 Vogue portrayed the 1920s perfectly. From the day to the night, life was abuzz with freedom, music, and most importantly, fashion. Sparkles and prosperity, inching hemlines and sheer silhouettes–fashion was breaking free and living to its fullest extent! 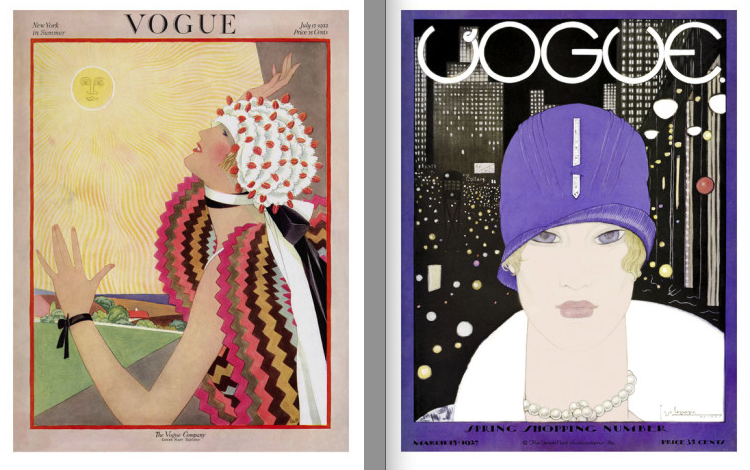 Vogue portrays the flapper as the queen of the day, the night, the countryside, and the city. Bold zigzags, luxurious furs, white pearls–the sun shines, the lights glow, the fashion comes to life. As the Depression hit, fashion lived. Structure, grace and elegance–a woman’s figure traditionally presented. From hard chic to soft dresses, the 1930s were a time of enhancement. Feminine curves were highlighted as broad shoulders were emphasized. Evening gowns of soft silk were worn as the theatre, restaurants, and nightclubs captivated peoples time and desire. Vogue gave the woman a look of elegance. With lengthy dresses and classic long sleeves, charming fashions are revealed. The war ended. Fashion had made its return. 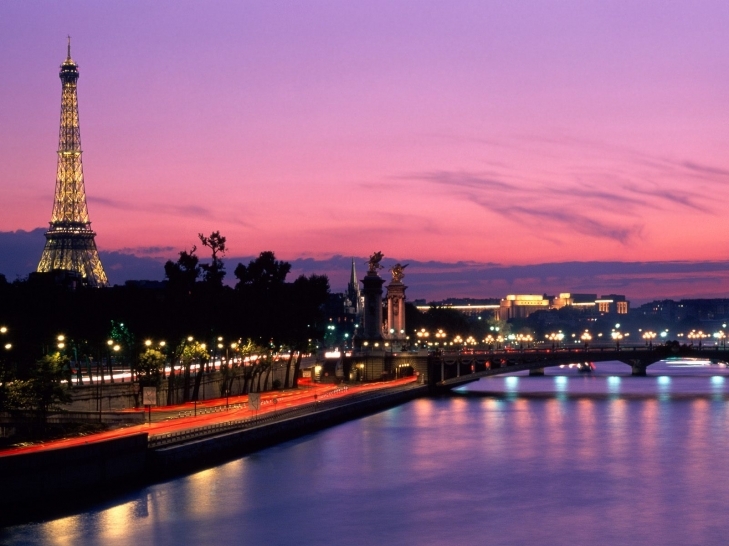 After taking a second place in response to the WWII effort, Parisian courtiers began to bring fashion back and American designers made gains and prominence. From Parisian looks of drastically lengthened and widened skirts, to American looks of ready-to-wear fashion, fashion overcame obstacles and succeeded. 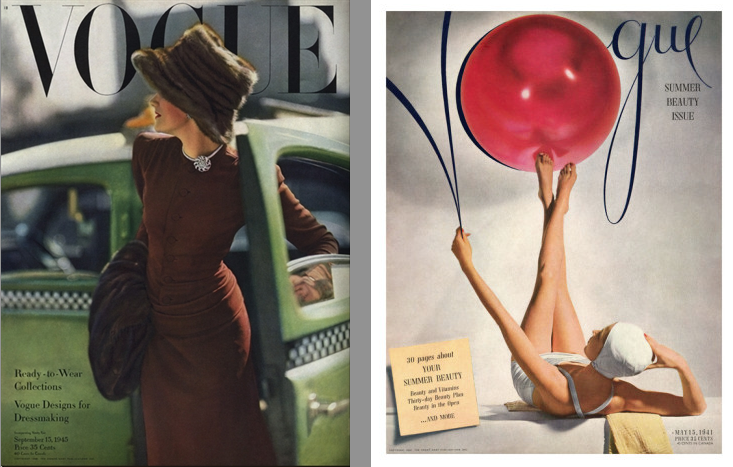 Vogue portrayed fashion as sophisticated and fun spirited. With the use of photography, fashion was able to be shown in real life, an actual setting. A brown dress and a dramatic fur hat, a fun loving white bathing suit with a tight swim cap, Vogue captured both sides of the fashion spectrum! 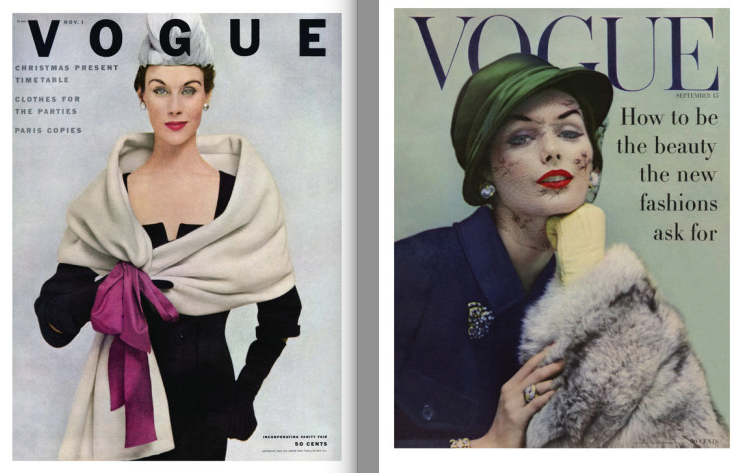 As quoted by Caroline Weber of the New York Times, Vogue is “the world’s most influential fashion magazine.” Its covers capture the fashions of the times tastefully and perfectly! 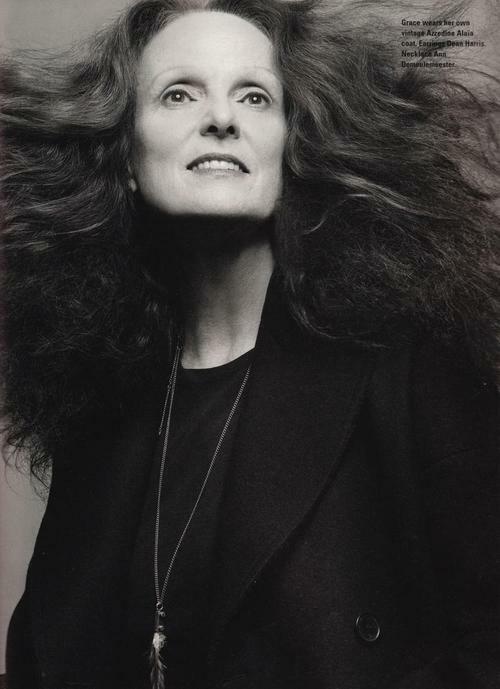 Timeless, influential, and inventive, this is Vogue. And it most certainly prevails.